STSA 66th Annual Meeting Abstract Deadline Extended to April 14! The Southern Thoracic Surgical Association abstract submission deadline has been extended to Sunday, April 14, 2019 at 11:59 p.m. ET. The STSA 66th Annual Meeting will be held November 6-9, 2019 at the JW Marriott Marco Island Beach Resort in Marco Island, FL. If you started an abstract in the submission website and it is currently in draft mode, please complete and submit your abstract before the deadline. Abstracts in draft mode will not be considered. Thank you to everyone who joined STSA at its 65th Annual Meeting in Amelia Island, FL this past November. President’s Invited Lecturer, Coach Lou Holtz’s talk titled Reflections on Leadership is now available online. Listen to Coach Lou Holtz’s lecture, Reflections on Leadership. Mark your calendar for the STSA 66th Annual Meeting, November 6-9, 2019, at the JW Marriott Marco Island Beach Resort in Marco Island, FL! Abstracts are being accepted through April 7, 11:59 PM EST. Review additional information here. This activity has been planned and implemented in accordance with the accreditation requirements and policies of the Accreditation Council for Continuing Medical Education (ACCME) through the joint providership of The Society of Thoracic Surgeons and The Southern Thoracic Surgical Association. The Society of Thoracic Surgeons is accredited by the ACCME to provide continuing medical education for physicians. The Society of Thoracic Surgeons designates this live activity for a maximum of 17.50 AMA PRA Category 1 Credits™. Physicians should claim only the credit commensurate with the extent of their participation in the activity. The Southern Thoracic Surgical Association is currently accepting abstracts for its upcoming 66th Annual Meeting, which will be held November 6-9, 2019 at the JW Marriott Marco Island Beach Resort in Marco Island, FL. Cardiothoracic and general surgery residents are invited to submit abstracts to be considered for the 2019 Hawley H. Seiler Residents Award Competition. 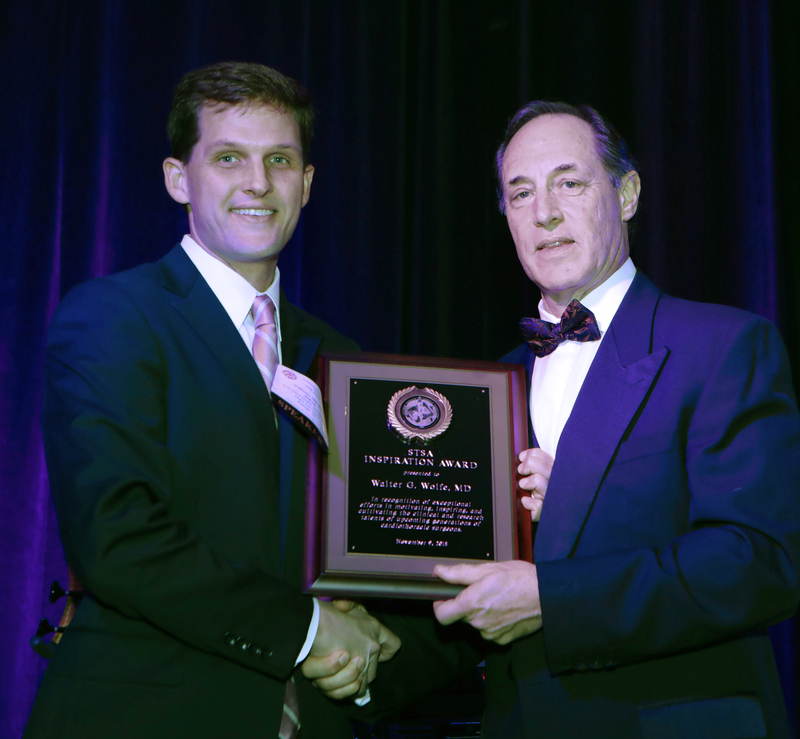 Named for STSA Past President and Founder, Hawley H. Seiler, MD, this award is presented annually to the resident who most excels in their manuscript and oral presentation at the STSA Annual Meeting. 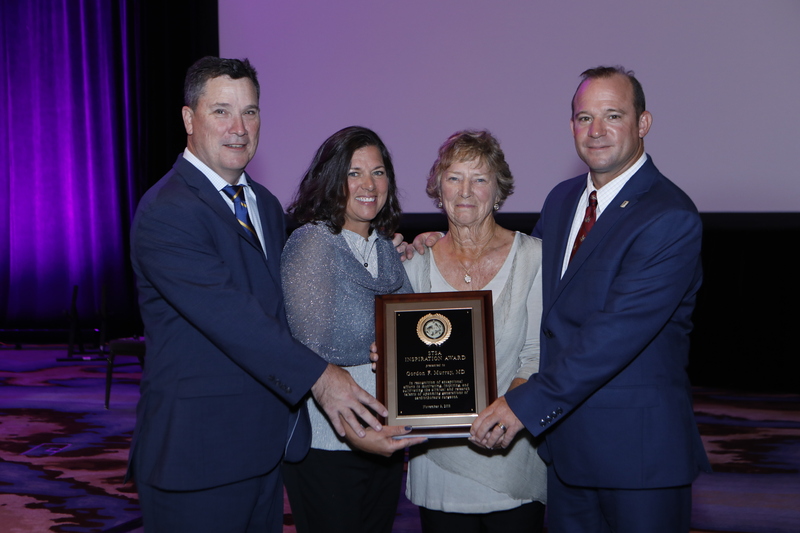 The 2019 Hawley H. Seiler Residents Award recipient will receive $500, a personalized plaque, and their name will be engraved on a permanent plaque to be displayed at future STSA Annual Meetings.The recipient will be announced at the 2019 Dinner Gala. Residents participating in the competition are eligible for reduced-price tickets to attend this event. Learn about the Hawley H. Seiler Residents Award and see a list of past recipients. Access the 66th Annual Meeting Abstract submission site. To enter the competition, you must select yes or no if you would like this abstract to qualify for the Hawley H. Seiler Residents Competition Award which is found under the Awards Section of your abstract submission. The collegiality, fun, and scientific value of the STSA Annual Meeting are unmatched, and the Southern is an exceptional forum for disseminating your work. Oral abstract presentations are to be submitted for publication consideration in the Annals of Thoracic Surgery, which has a circulation of more than 8,000 subscribers. Should your abstract be selected for presentation, details outlining instructions for submitting your manuscript to the Annals of Thoracic Surgery will be provided at a later date. The deadline to submit abstracts is April 7, 2019, 11:59 p.m. ET. 2019 STSA membership dues and/or Annals of Thoracic Surgery subscription invoices are now available. Login to your STSA user account to pay your 2019 dues/subscription invoice. Your username is the primary email listed in your account. If you have not yet previously changed your password, it has automatically been set to Password1 (case sensitive). Use the forgot password portal if you cannot remember your password. Please contact STSA at stsa@stsa.org or 312.202.5892 with questions or to request a printable invoice. Abstracts are now being accepted for the STSA 66th Annual Meeting which is taking place November 6-9, 2019 at the JW Marriott Marco Island Beach Resort in Marco Island, FL. Please click here to find details regarding the abstract submission site. The deadline to submit abstracts is Sunday, April 7, 2019 at 11:59 p.m. ET. Thank you for your continued support of STSA! The Southern Thoracic Surgical Association is pleased to announce that abstracts are now being accepted for the STSA 66th Annual Meeting. The STSA 66th Annual Meeting will be held November 6-9, 2019 at the JW Marriott Marco Island Beach Resort in Marco Island, FL. The deadline to submit abstracts is Sunday, April 7, 2019 at 11:59 p.m. ET. Thank you to everyone who joined STSA at its 65th Annual Meeting in Amelia Island, FL last month. Even if you weren’t able to attend in person, you can now access select 65th Annual Meeting content online. Follow STSA on Facebook or Twitter to receive notifications about future content – Coach Lou Holtz address will be posted in the coming weeks. Mark your calendar now for the STSA 66th Annual Meeting, Nov. 6-9, 2019 at the JW Marriott Marco Island Beach Resort in Marco Island, FL! Dr. Dan Miller proudly accepts the Mavroudis-Urschel Award at the Dinner Gala. The Mavroudis-Urschel Award was established in 2006 to recognize and honor an STSA member who made important contributions to the STSA scientific program and uniquely personified the social spirit, camaraderie, and fun for which the STSA is famous. The Award is named for STSA Past Presidents Constantine “Gus” Mavroudis and Harold Urschel, who both contributed significantly to STSA. Daniel L. Miller, MD received the 2018 STSA Mavroudis Urschel Award at the STSA 65th Annual Meeting, in Amelia Island, FL. Dr. Miller has held various leadership positions with STSA, including serving on the Program Committee and the Postgraduate Committee. Most notably, he has served as Secretary/Treasurer for the past four years. He has enthusiastically supported the STSA Annual Meeting, year after year, whether it be as a speaker, moderator, or interviewer. He has demonstrated to be a dedicated member of STSA, and encouraged others to participate. Through the Mavroudis Urschel Award, STSA recognizes Dr. Miller’s significant contributions to the association. 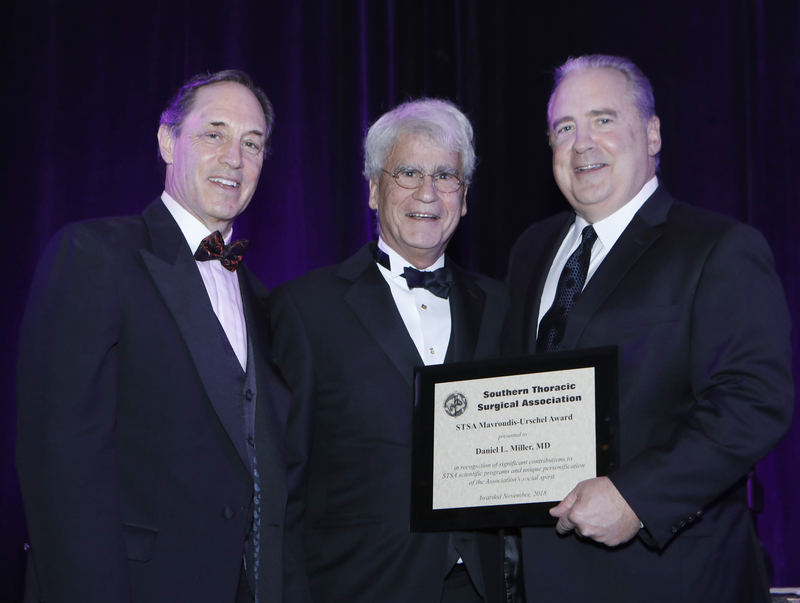 The Award was presented during the Dinner Gala by the then President, Dr. Kevin Accola, at the STSA 65th Annual Meeting on November 9, 2018 at the Omni Amelia Island Plantation Resort in Amelia Island, Florida. View a list of past Mavroudis-Urschel Award recipients at www.stsa.org/awards. The Award is given to the STSA member who has demonstrated exceptional efforts in motivating, inspiring, and cultivating the clinical and research talents of medical students, residents and/or early career CT surgeons. Nominations are submitted in writing to the President, to be considered for presentation at the STSA 65th Annual Meeting. The award is given at the discretion of the President in consultation with the Council. Drs. Walter Wolfe and Gordon Murray were named the 2018 Inspiration Award recipients at this year’s Dinner Gala. Dr. Judson Williams accepts the award on behalf of Dr. Walter Wolfe. Dr. Walter Wolfe has been a long-time Member of STSA. Nomination letters regarded his sage advice in or out of the operating room as always profound, and noted that he can always be counted on to “do the right thing”. Unable to accept the award at the Dinner Gala, he sent a kind note remarking that he was honored and humbled by this recognition. Dr. Gordon Murray’s family proudly accepted the award on his behalf. Dr. Gordon Murray who passed on May 21, 2018, was President of STSA in 1993, and a valued colleague to all members of STSA. Dr. Kevin Accola presented the award and said of Dr. Murray, “His recent passing saddened us all as he will be remembered as a sincere friend and a consummate gentlemen. I am humbled to present this award to Dr. Gordon Murray in honor of his memory, and we’re so pleased his family could be with us this evening”. Mrs. Murray attended the Dinner Gala and was escorted by Drs. Vinay Badwar and David Jones to the stage to accept the Award on behalf of her late-husband. 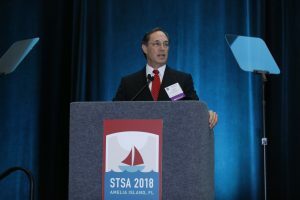 The Awards were presented during the Dinner Gala by the then President, Dr. Kevin Accola, at the STSA 65th Annual Meeting on November 9, 2018 at the Omni Amelia Island Plantation Resort in Amelia Island, Florida. View a list of past Inspiration Award recipients at www.stsa.org/awards.